CityLab Baltimore convened top urban stakeholders from around the country to discuss some of the most pressing issues US cities face. From blight and health to arts and culture, we explored the challenges and successes of the community. We examined the building blocks of economic development and discuss lessons learned from top mayors. This gathering served as an important precursor to CityLab Paris to be held this October 22-24. 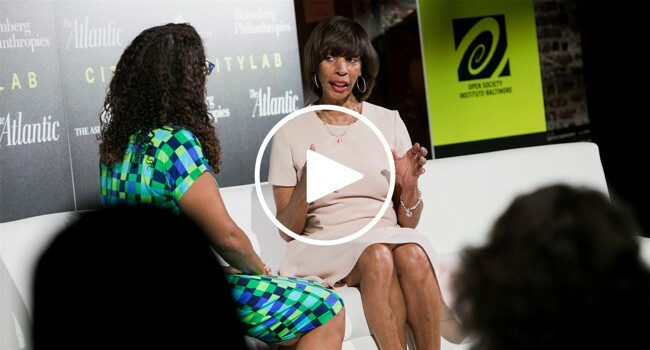 For the past four years, CityLab has gathered the most creative global mayors and city practitioners alongside artists, academics, funders, and other public and private sector leaders from around the world. The Atlantic, The Aspen Institute and Bloomberg Philanthropies will convene mayors and city practitioners from across the world for conversations on the future of cities. CityLab gathers the world’s most creative mayors and city practitioners with artists, academics, funders, and other public and private sector leaders to focus on improving cities and spreading urban strategies that work.